Steelpan, the national musical instrument of Trinidad & Tobago, is a tuned percussion instrument made from industrial waste: a 55 gallon industrial drum that formerly held oil or chemicals. 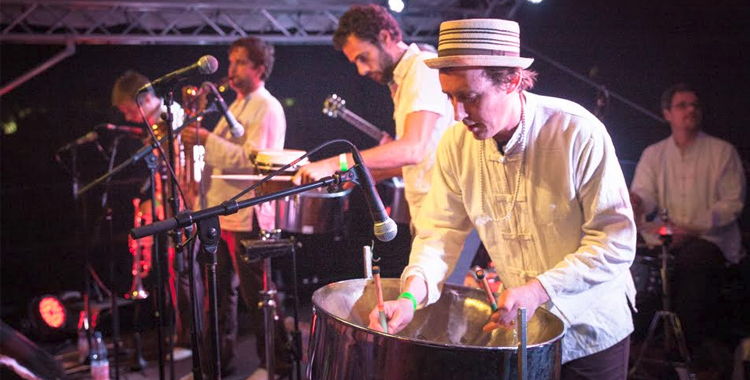 And steelpan's use has spread far and wide: on this week's program you'll hear a new record from Bacao Rhythm & Steel Band (pictured above), a funk band from Hamburg, Germany that features four pannists. 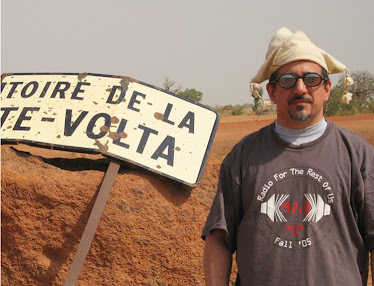 Also this week: highlife from Ghana and Nigeria; new Peruvian-style psychedelic cumbia by Money Chicha and Bareto; and Latin soul straight outta the barrio.